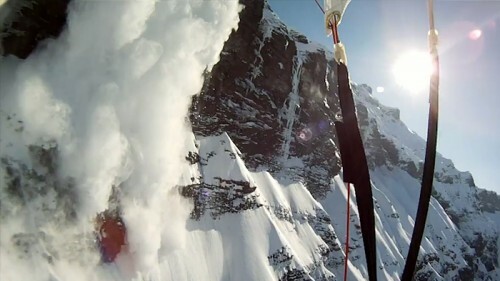 Skiiers Matthias Giraud and Stefan Laude try to outrun a massive avalanche in the French Alps. The only problem? Their escape route. They filmed the life risking event on two gopro cameras – if this video doesn’t make you want a gopro I don’t know what will. GoPro has changed the film game and added a sense of perspective and way to get as close to the real experience as you can get! CLICK HERE to buy a guy pro of your own from your local Bob Ward and Sons.